“We’d go in and tell our boss and then a week later another one would go in." The obstetrics unit of a small Illinois hospital only has around 80 employees. 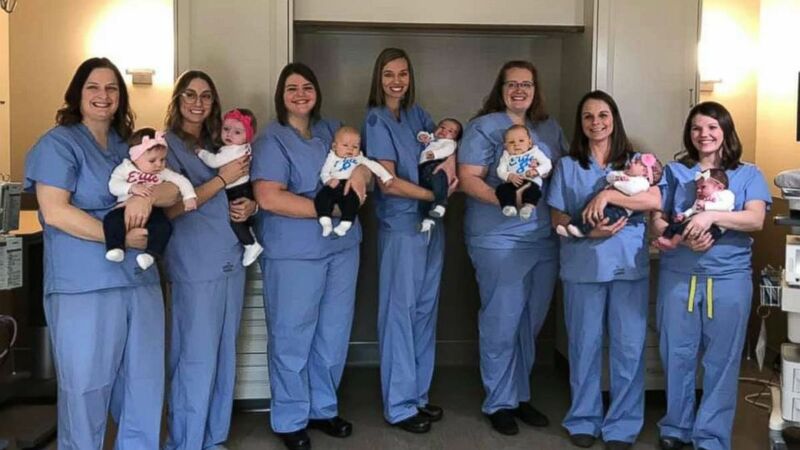 Eight of those employees, seven nurses and one nurse’s aide, gave birth to their own babies in a span of five months. UPMC Children's Hospital of Pittsburgh's NICU celebrates its families. A Gillette spokesman told "GMA" the company "felt compelled to get involved." Yoga instructor Heidi Kristoffer, a mom of three, shares tips for new moms. Eggering, 32, has worked at the Maryville, Illinois, hospital for the past 14 years. 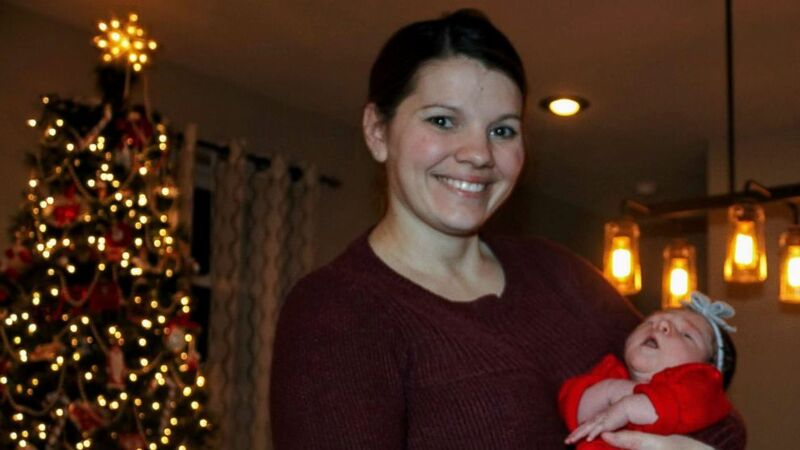 She gave birth to her first child, a son named Daniel, in November. (Courtesy Rebecca Eggering) Rebecca Eggering poses with her newborn. The first of the eight babies was born in August and the last was born in mid-December. Michele Embick, who gave birth to baby No. 8, a daughter named Charlotte, was also the last to tell everyone that she was pregnant. (Courtesy Michele Embick ) Michele Embick holds her daughter, Charlotte. 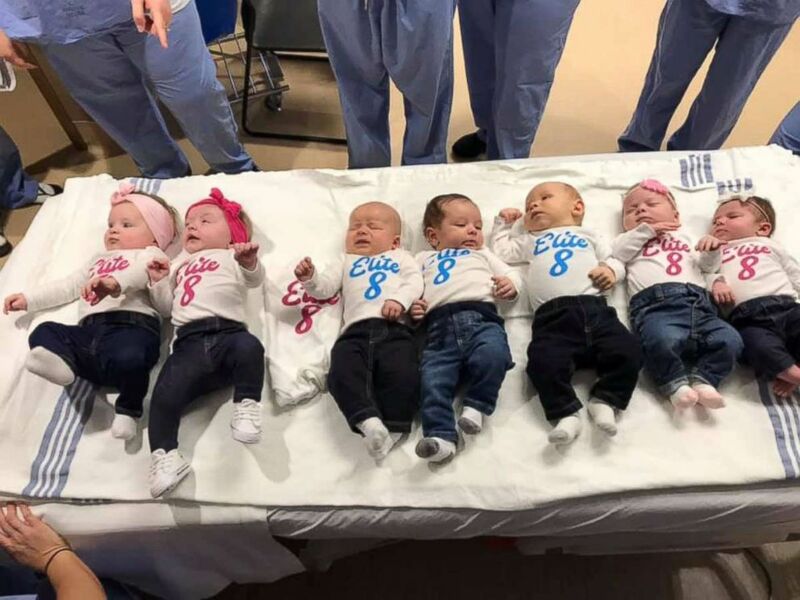 Seven out of the eight nurses gave birth at the same hospital where they work. They all delivered healthy babies and two, including Embick’s daughter, by chance share the same name, Charlotte Rose. (Anderson Hospital's Pavilion for Women) Coworkers at Anderson Hospital's Pavilion for Women in Maryville, Ill., were all pregnant at the same time. (Anderson Hospital's Pavilion for Women) Eight women who work at Anderson Hospital's Pavilion for Women in Maryville, Ill., gave birth around the same time. The nurses said their small department felt like a family even before the pregnancies and more so after. They not only bonded with each other over cravings and a sensitivity to smells (hard when caring for babies, they say), but with their patients too. 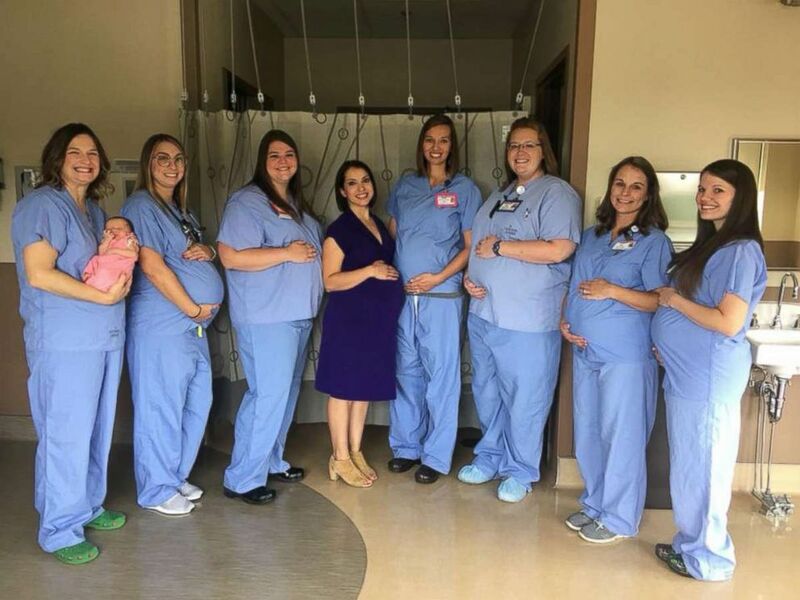 The hospital used substitute nurses to cover overlapping maternity leaves and had the benefit of the eight nurses already working different shifts, according to Eggering. The moms still refer to the babies in the order in which they were born, baby No. 1, baby No. 2 and so on, and have nicknamed them the "Elite 8." One of the babies missed the group photo shoot because of a sibling's illness but overall they are all healthy, happy babies, according to Embick and Eggering. 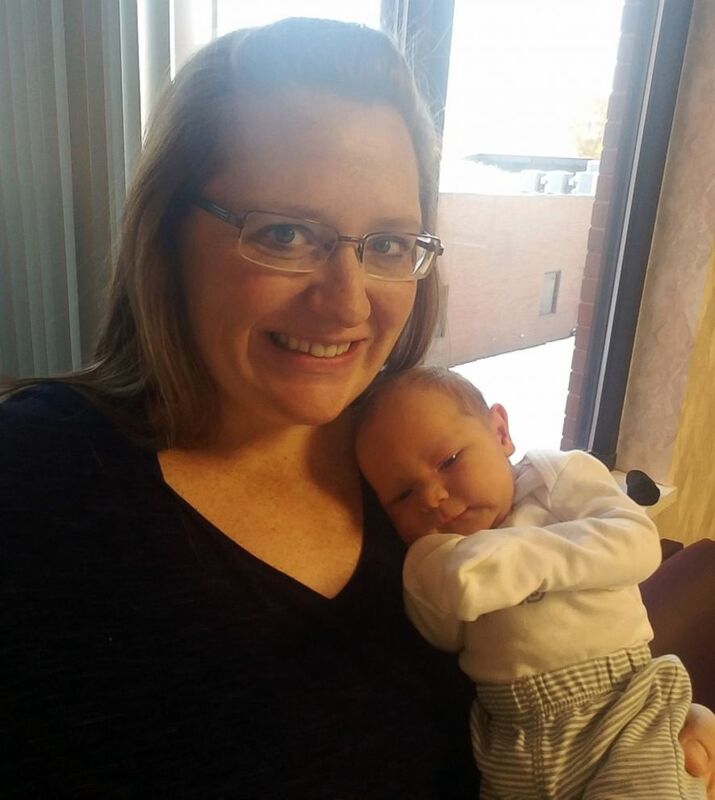 (Anderson Hospital's Pavilion for Women) Eight babies were recently born to coworkers at Anderson Hospital's Pavilion for Women in Maryville, Ill.
Eggering said the babies have already had play dates and the moms have big plans to watch the kids grow up together.